Before the start of the match, both Chatham and Bearsted paid respects to Steve Binks with a minutes applause. Also, the matchday programme featured a lovely picture of Steve on the front cover with and a heartfelt message about Steve from the Chairman Kevin Hake. Steve was a very prominent servant to Chatham for over 25 years, serving many roles such as First Team Manager, Director of Football and his final role as Honorary Life President. The match got underway and Chatham had the first chances within the first two minutes of the game. The best of these chances come from Jon Pilbeam whose shot looked as if it was going to trouble the keeper, but Scott Andrews was able to make a comfortable save. However, just two minutes later, in the 4th minute, Chatham went ahead with a goal from captain Paul Vines. The goal came from a parry from the keeper which fell to Vines and was easily put into the net. Bearsted were quick to respond as a shot from Reece Collins just skimmed the bar on the 14th minute and then Collins had another chance on the 17th minute but it was straight at Dan Ellis in goal. It wasn’t all comfortable shots for Ellis as a powerful shot from Collins forced him into making a diving save. Chatham then responded with their chance as the ball got stuck in the box with no Bearsted defender clearing the ball. This led to Andrews making plenty of spectacular saves which kept Bearsted in the game. Andrews couldn’t keep the Chats attack out for too long as on the 32nd minute Chatham got the second. It was a great creative play as the ball fell to Vines who laid off for Matt Bodkin on the edge of the box who took the shot which flew straight into the right side of the net. It looked as if the game would be going into the second half 2-0 but Bodkin looked to change that in stoppage time as he sent a beautiful ball over the defensive wall which fell to Vines, but Andrews came out and smothered the ball. The second half seemed to follow the pattern of the first with Chatham sticking to the constant attack and on the 48th minute it seemed as if it was going to be 3-0 as Vines’ header looked to be a certain goal but Andrews made an incredible save to stop the ball hitting the back of the net. This save then parried the ball straight up to Vines again who headed the ball goal bound but yet again Andrews made another great save! The search for the third goal continued and Bodkin tried to end this search but his shot on the 53rd minute was pulled wide. 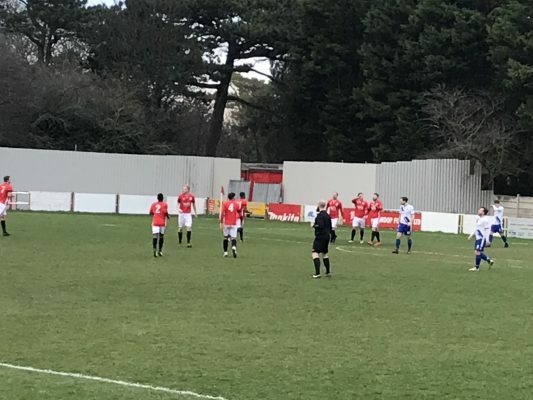 Bearsted then finally responded and it looked like they had scored when Collins’s powerful shot on the hour mark was headed goalwards but instead of Ellis denying him, the inside of the post did and sent his shot away from goal. Just one minute later, Bearsted had a penalty shout but it was waved off by referee Simon Cutler. 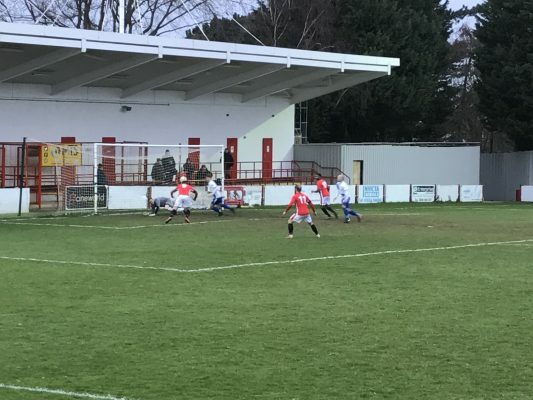 Chatham responded to this penalty claim with a chance of their own after two shots were parried by Andrews which fell to Pilbeam but his shot went flying over the bar. Chatham then dominated the rest of the game after the 73rd minute. A scrap in the box almost led to the third for The Chats on the 75th minute as the ball just wasn’t cleared. Andrews kept the ball out of his goal somehow and it finally got cleared. 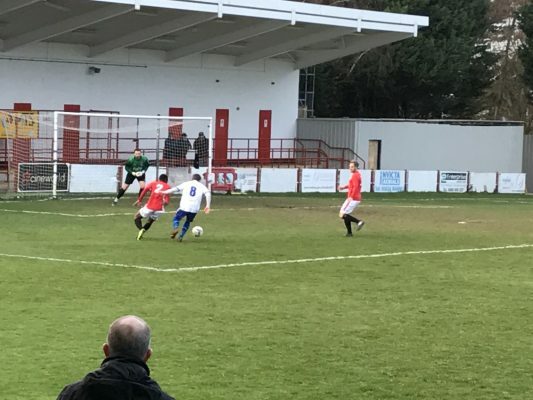 The last chance of the game come on the 80th minute and fell to Bodkin who showed a great burst of pace which allowed him to beat his man with ease, but his shot just skimmed wide. 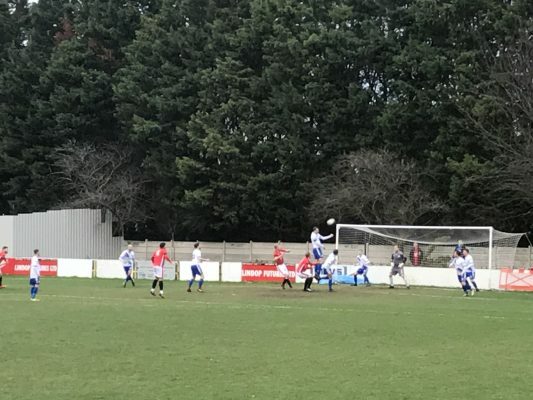 Simon Cutler then blew his whistle to the delight of Chatham fans as they progress into the Semi Finals of the Kent Senior Trophy and it was a great way to remember Steve Binks. Chatham Town: Dan Ellis, James Fray, Matt Parsons, Jack Evans, Richard Avery, Reece Butler, Jon Pilbeam, Tom Fitzgerald, Paul Vines (Captain), Byron Walker and Matt Bodkin. Subs not used: Corey Walters-Wright, Eitel Goueth and Fred Obasa. Bearsted FC: Scott Andrews, Sam Fisher, Cameron Croucher, Andy Foster, Rob Lyall (Captain), Ryan Croucher, James Bessey-Saldanha, Jon Rogers, Reece Collins, Matt Garner, David Baronowski. Subs: Lucian Scarlat for David Baronowski (45th minute), Matt Weller for Matt Garner (66th minute), Ryan Golding for Cameron Croucher (81st minute). Subs not used: Constantin Scarlat and Matt Hathaway. Yellow Cards: Lucian Scalat (56th Minute), Cameron Croucher (61st minute), Jon Rogers (65th minute), Andy Foster (76th minute). Assistants: Dan Blades and Myles Hewson. 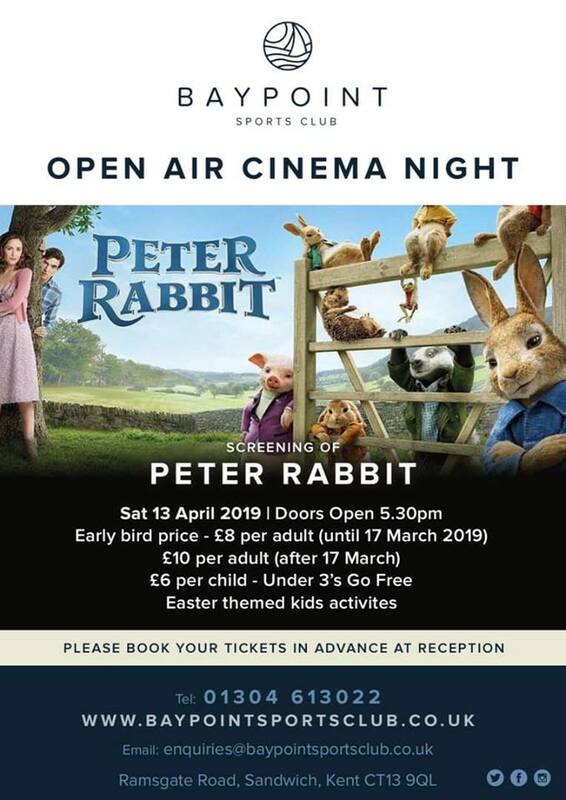 This entry was posted	on Saturday, January 19th, 2019 at 4:54 pm	and is filed under Football, Non-League Football. You can follow any responses to this entry through the RSS 2.0 feed. Both comments and pings are currently closed.